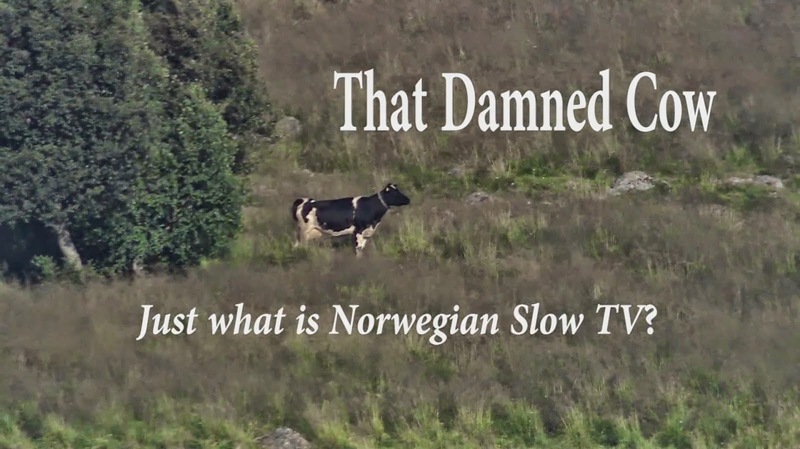 If you're attending Marché International des Programmes de Télévision (MIPTV) in Cannes between April 13th and 16th, check out the 29 minute documentary "That Damned Cow - Just what is Norwegian Slow TV?" which will be shown on one of the screens in the Nordic Pavillion. This year, the International Market of TV Programmes is hosting a Focus on the Nordics - which of course includes the successful Norwegian Slow TV format. "That Damned Cow" is the story of Norwegian Slow TV up to March 2015. 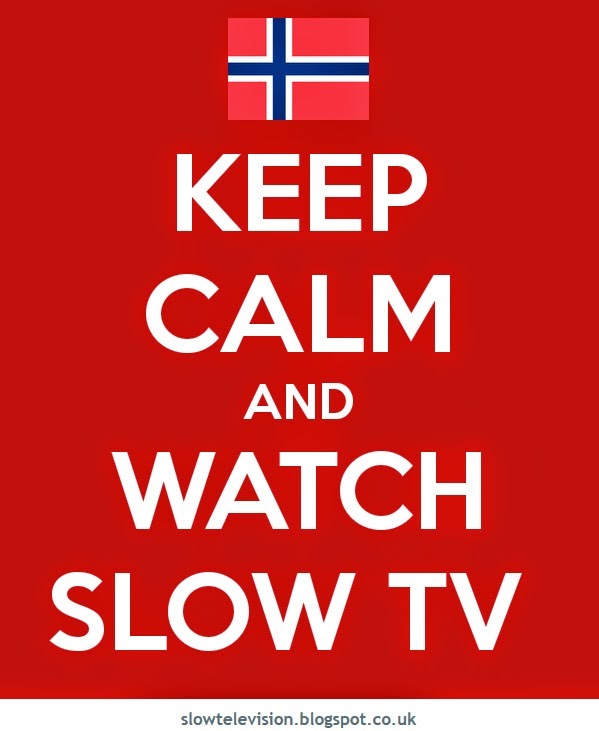 Slow TV’s profile has grown since it emerged in Norway in 2009. NRK2, the second channel of the state broadcaster has been the pioneer in developing this real time marathon event broadcast format, taking surprise ratings at home and gaining global attention. Train journeys, a ferry voyage, knitting and singing a hymn book over sixty hours are some of the Slow TV subjects which NRK has shown. “That Damned Cow”, subtitled “Just what is Norwegian Slow TV?” is a documentary which asks and explores exactly that. It sets out NRK’s narrative through interviews with key NRK staff in Bergen and Oslo, from inception to international distribution.